Germs are all around us. Although most of them are harmless little critters but there are some that cause infections and illnesses which are best avoided through good hand hygiene. You’re likely to find more germs on everyday items such as computer keyboards, telephones and chopping boards than you’d find on your toilet seat. Quash is the result of a new 100% natural alcohol free hand sanitiser spray that also help moisturise and nourish the skin at the same time. 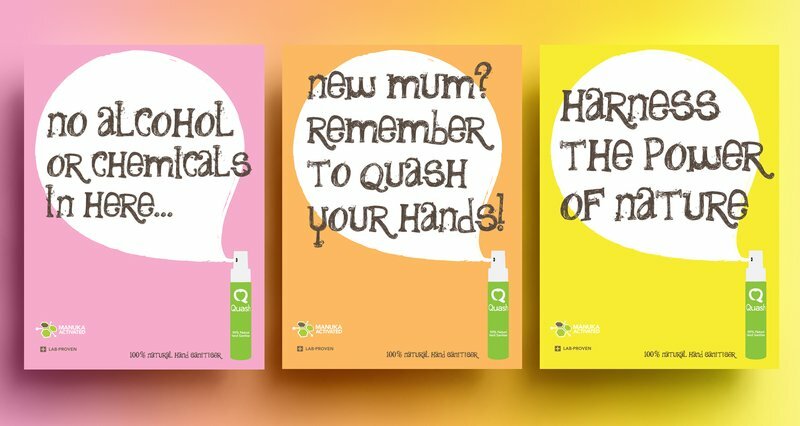 Branding and product design for UK’s first 100% natural hand sanitiser. As well as developing messaging and advertising, Chaos has also helped extend the product range packaging design for other SKUs. We’ve also used social viral campaigns (no pun intended) to push the product into the consumers’ mindset. A fun ‘hand character’ viral and ads added personality to the brand. The result? Successful penetration into major retailers and high street outlets along with international market penetration. We pitched successfully to name and brand the UK’s first 100% natural hand sanitiser. The brief? To combine the natural product ethos with a distinctive brand feel. 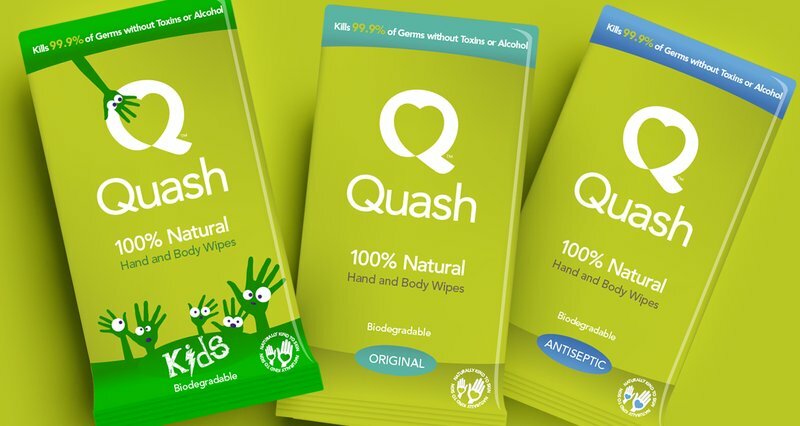 The ‘hand wash substitute that quashes germs’ became Quash, with a heart logo representing natural health and reassurance. Lime green packaging assured shelf stand out whilst softening antiseptic approach of competitors. Creating the brand name, identity, look and feel and marketing comms materials, Chaos successfully helped launch this brand into the likes of WH Smith and onto Amazon, as well as penetrating overseas markets including Middle East countries.